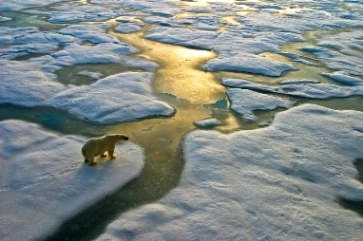 Climate change: Can insurers take the heat? Climate change could lead to a larger market for insurers as more people seek protection from losses – but the higher probability of severe weather events could ultimately prove to be a bane for the industry. For example, a recent study by CoreLogic found that nearly 6.9 million homes along the Atlantic and Gulf coasts are at potential risk of damage from hurricane storm surge, with a total reconstruction cost value of more than $1.5 trillion. A separate study published in the journal Nature Climate Change found that the total economic costs of climate change for urban centres worldwide could be 2.6 times higher when the urban heat island effect is taken into account. Cities at the worst end of the spectrum stand to lose as much as 11% of their gross domestic product (GDP) compared with the global loss average of 5.6%. The National Flood Insurance Program (NFIP) has witnessed a deluge of repeat claims. Over the last two decades, the number of properties reporting a second loss has increased by 67%, according to Evan Hecht, president of The Flood Insurance Agency. “The number of properties that have had a third loss has increased 56%,” Hecht said at IBA’s recent CAT Risk 2017 Masterclass. The NFIP is almost $25 billion in the red, Emergency Management reported. It is up for reauthorization next September. Geopolitical risks could also increase in the Middle East and Africa as rising temperatures lead to a tight supply of water. “I think the water scarcity [global crisis risk] is the most dramatic, because it’s the hardest one to do anything about,” said Christof Bentele, head of global crisis management at Allianz Global Corporate & Security. “Water scarcity is such a massive problem in so many countries and it could really lead to mass migration and economic refugees who are going to tend to head towards Europe, in my view. The whole area from northern Africa, up through the Middle East, and up to Afghanistan, millions of people are going to fall under the water scarcity problem,” he added.